The High Price of Sugar: Balancing Novelty and Cost in Diabetes Management. List commonly used diabetes treatments and identify their costs. Select an appropriate treatment plan and utilize cost effective evidence based care. Describe appropriate screening for osteoporosis and summarize available treatments to employ a patient centered care plan. Describe changes to recent guidelines and modify treatment plans to achieve blood pressure goals. Recognize the GOLD criteria for COPD diagnosis and identify the stepwise approach to COPD care management. List appropriate thyroid axis abnormalities and describe appropriate, cost effective workup. Discover strategies for important conversations for end of life care. 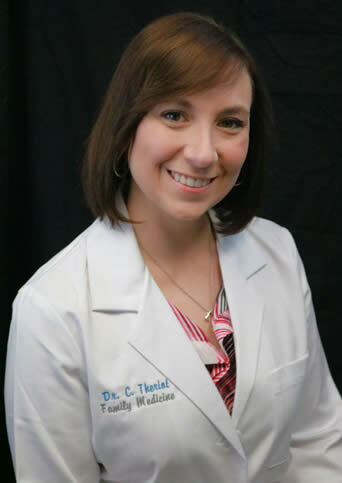 Dr. Christie Theriot is currently clinical faculty and teaching staff at the North Mississippi Medical Center Family Medicine Residency Center where she cares for patients in the clinic, hospital, acute rehabilitation, and long term care settings. She received her undergraduate degree in pre-medicine and chemistry at Nicholls State University in Thibodaux, LA and received her medical degree from Tulane University School of Medicine in New Orleans, LA. 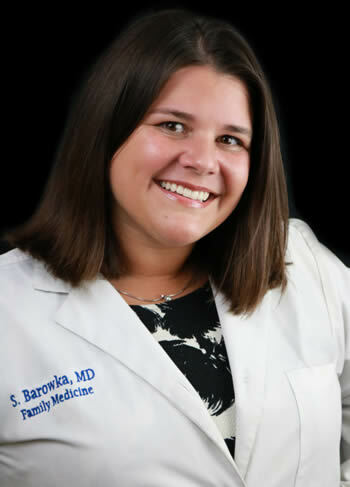 She completed her family medicine residency training at NMMC in 2014 and has served as faculty since this time. Dr. Theriot also serves on the Medical Executive Committee and serves as the head of the department of Family Medicine at NMMC. Dr. Theriot loves educating and serves on the Medical Education Committee at NMMC and a co-chair for the Family Medicine Update Conference and part of the planning committee for the regional NMMC Outcomes conference. She enjoys traveling, and crafting. Clinical Faculty NMMC Family Medicine Residency Center, Adjunct clinical faculty William Carey School of Osteopathic Medicine, Adjunct clinical faculty University of Mississippi Medical Center. 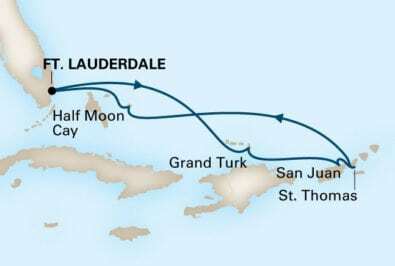 Thu Dec 05 St. Thomas, U.S. V.I. With floor-to-ceiling windows overlooking a private verandah, these spacious suites are flooded with light. They feature a large sitting area and two lower beds convertible to one king-size bed-our signature Mariner's Dream™ bed with plush Euro-Top mattresses. The bathroom comes with a dual-sink vanity, full-size whirlpool bath and shower, plus additional shower stall. Amenities include use of the exclusive Neptune Lounge, a private concierge and an array of complimentary services. These large, comfortable suites feature a spacious sitting area with floor-to-ceiling windows overlooking a private verandah, two lower beds convertible to one queen-size bed-our signature Mariner's Dream™ bed with plush Euro-Top mattresses, and one murphy bed for one person. The bathroom includes a dual-sink vanity, full-size whirlpool bath and shower, and an additional shower stall. Approximately 393 sq. ft. including verandah. With a teak-lined verandah, floor-to-ceiling windows and comfortable sitting area, these comfortable suites are filled with light. They include two lower beds convertible to one queen-size bed-our signature Mariner's Dream™ bed with plush Euro-Top mattresses, plus a whirlpool bath and shower, mini-bar and refrigerator. With floor-to-ceiling windows overlooking a private verandah, these spacious suites are flooded with light. 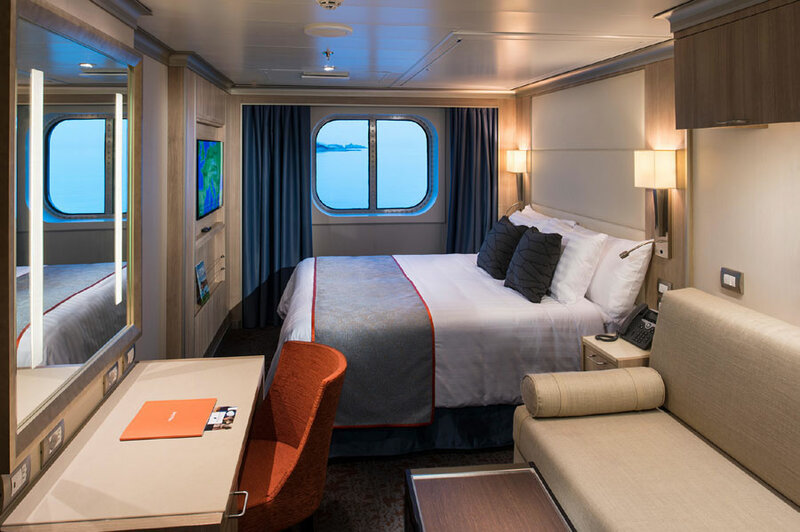 They feature a large sitting area and two lower beds convertible to one king-size bed—our signature Mariner's Dream™ bed with plush Euro-Top mattresses. The bathroom comes with a dual-sink vanity and some suites have a shower-only option. Amenities include use of the exclusive Neptune Lounge, a private concierge and an array of complimentary services. 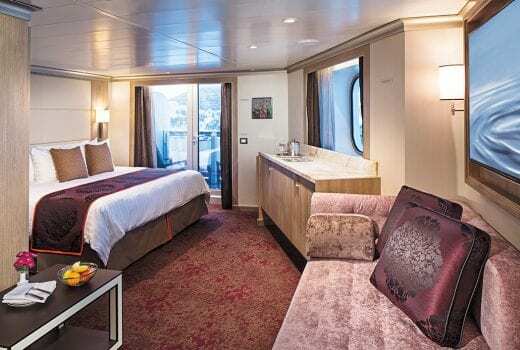 The configuration of staterooms may vary from the images shown. 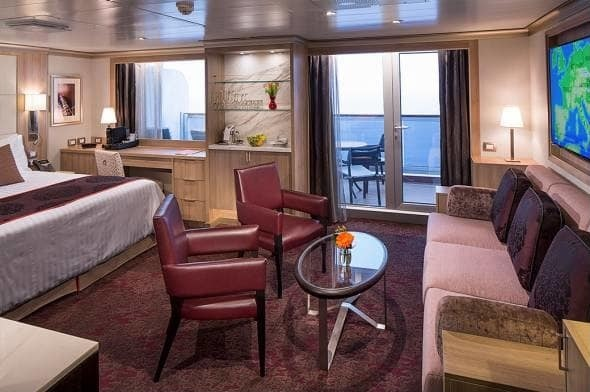 Filled with light from floor-to-ceiling windows overlooking a private verandah, these staterooms include a sitting area, two lower beds convertible to one queen-size bed-our signature Mariner's Dream™ bed with plush Euro-Top mattresses, and shower with premium massage showerheads. Approximately 228 sq. ft. including verandah. 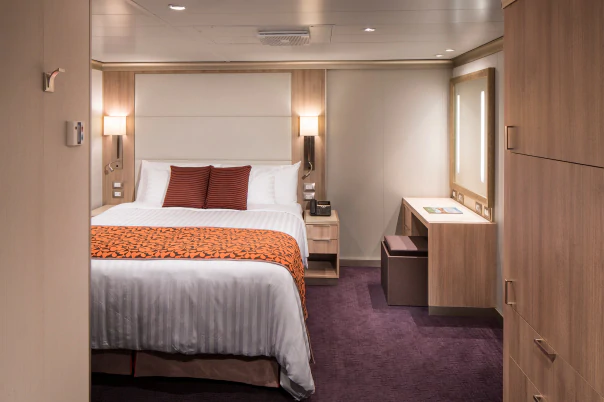 These expansive staterooms include include two lower beds convertible to one queen-size bed-our Signature Mariner's Dream™ bed with plush Euro-Top mattresses, premium massage shower heads, a host of amenities and an ocean view. 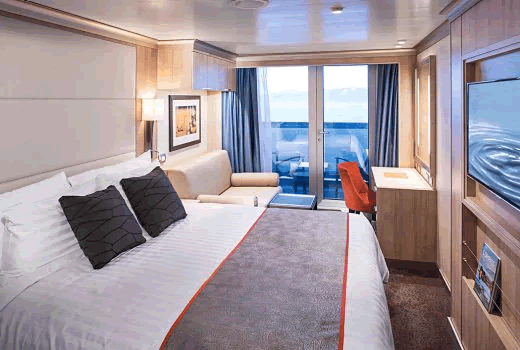 The configuration of staterooms may vary from the images shown. 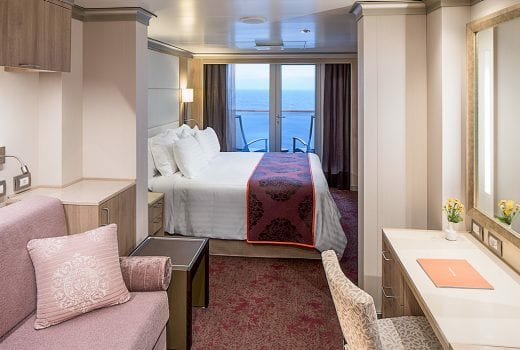 Two lower beds convertible to one queen-size bed - our signature Mariner's Dream™ bed with plush Euro-Top mattresses, premium massage shower heads and a host of amenities are featured in these comfortable staterooms. 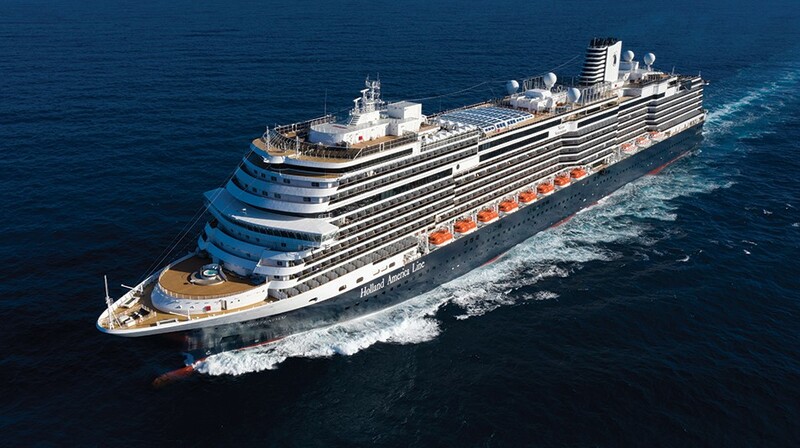 Port Charges, Taxes & Fees $315.00 per person.